FedEx is our major carrier. We will ship your order from either our distribution center in Los Angeles or from one of our store locations throughout the United States to reach you in your requested shipping timeframe. When appropriate your order may be shipped through FedEx SmartPost, which uses the USPS to make the final delivery to your home. We also use a variety of other major carriers to support our larger deliveries. Items purchased together will not necessarily be shipped together. All ship times are in business days. Please allow 1 to 2 business days to process your order prior to shipping. Curbside Shipping: Some oversized items may be too large for FedEx shipping. Those items will be shipped to you via Freight Delivery Curbside Drop Service. You will sign for the delivery at the curb. Curbside Delivery can take up to two weeks to arrive once shipped from our warehouse. Items needing Curbside Delivery will be noted in the product description. Product availability and pricing are subject to change without further notice. Delivery, Special Handling and Oversize charges are based on total value of your order and the size, shape or weight of the item(s) being purchased. All orders received over $250.00 will be shipped with a signature requested for delivery. When shipping orders to Alaska or Hawaii only Standard 5 to 9 Business Day service is available. APO/FPO orders will be shipped via the U.S.P.S. and delivery times will be longer. To inquire about ordering items to ship APO/FPO boxes please call 1-800-908-6748. If there is a delay in the shipping of part of your order, we will notify you of the items(s) that may be affected. Also, please note, depending on the size of the item ordered and the number of pieces requested, all items ordered may not arrive in the same box or on the same day. Items showing the CALL FOR AVAILABILITY message may still be available to you if you call 1-800-908-6748, Option 2 for Internet Sales. Please have the SKU number of the item(s) you wish to inquire about. Note: items on SALE cannot be ordered unless already available on the web site. Z Gallerie has four different shipping methods for delivering furniture. The method employed depends on distance from a Z Gallerie store, delivery zip code, and type of furniture. Not all options will be available for all orders. All furniture deliveries require a signature at the time of delivery. It is the customer’s responsibility to measure to be sure that the items purchased will fit through all doorways, halls, stairwells, elevators or any other passageways. 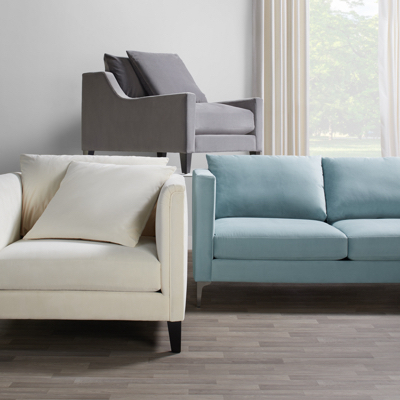 View our guidelines on measuring for proper fit of any furniture. None of the delivery services offer a hoisting service. A delivery charge will be assessed for each time that a delivery is made to a single address. All furniture deliveries require a signature at the time of delivery. White Glove Delivery: An unlimited number of eligible furniture items can be delivered for a single flat rate per shipping address. 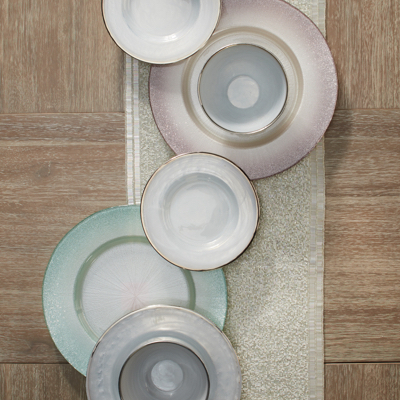 Delivery rates are based on the driving distance from a Z Gallerie store. Our skilled White Glove delivery team inspects and prepares each item before carefully assembling it (when necessary) and placing it in your home. A $25.00 fee applies for all orders requiring a bed to be assembled. For deliveries with more than two flights of stairs (20 steps), an extra “stairs” charge will be assessed. Freight Curbside Delivery: Some smaller pieces may be available for Curbside Delivery, a drop service delivered to you on your curb. A signature is required upon delivery. Items like mirrors, ottomans, benches, and nightstands are some of the items that may be shipped via Curbside Delivery. There are no additional services, such as in-home placement, assembly etc. Delivery time is up to two weeks from the time your order leaves our warehouse. Curbside delivery is available only in the contiguous United States. Items needing curbside delivery will be noted in the product description. FedEx Delivery: Some of our smaller furniture pieces as well as Direct Ship purchases are eligible for FedEx delivery using Standard Shipping. Shipping costs are based on the total retail value of the order plus any related, Oversize or Special Handling Charges that may apply. Furniture shipped via FedEx can be expected in five to nine business days. Signature is required upon delivery. There are no additional services, such as in-home placement, assembly etc. with FedEx delivery. Furniture items that are eligible for FedEx delivery will be noted in the product’s description. Standard Plus shipping is not available for furniture shipped via FedEx. FedEx shipping of furniture to Hawaii or Alaska is not available. For more information on the delivery options that are available for our furniture, including shipping to Hawaii and Alaska, please call 1-800-908-6748 and speak to one of our Sales Specialists during business hours. Direct Ship purchases will ship separately, directly to you via FedEx standard service only, from the vendor. Freight "Curbside" Delivery may be used for some larger items. Direct Ship orders cannot be picked up in any of our store locations, warehouse facilities or satellite warehouses. Separate Shipping Charges, Special Handling or Oversize charges will apply. For information on returning or exchanging your Direct Ship purchase please call 1-800-358-8288 or see our returns page for more information. Return shipping charges will be deducted from all Direct Ship purchases. A delivery surcharge or oversize charge will be added to certain items due to special handling and shipping requirements (size, weight, etc.). These charges will be noted by the retail price of the item to which they apply. Shipping Restrictions: Certain items may not be eligible for Standard Plus shipping. These items include but are not limited to; art, lamps, mirrors, furniture, bean bags, certain accessories, any item with a length, width, height or girth greater than 24” or any item that requires a delivery surcharge. We will contact you if there is an issue with your order. Shipping of some restricted items may cause a delay in the processing of your order. We currently ship to all U.S. residential and business addresses in all 50 states. For APO/FPO addresses, please enter APO/FPO as the city, the correct U.S. state and your APO/FPO ZIP code. 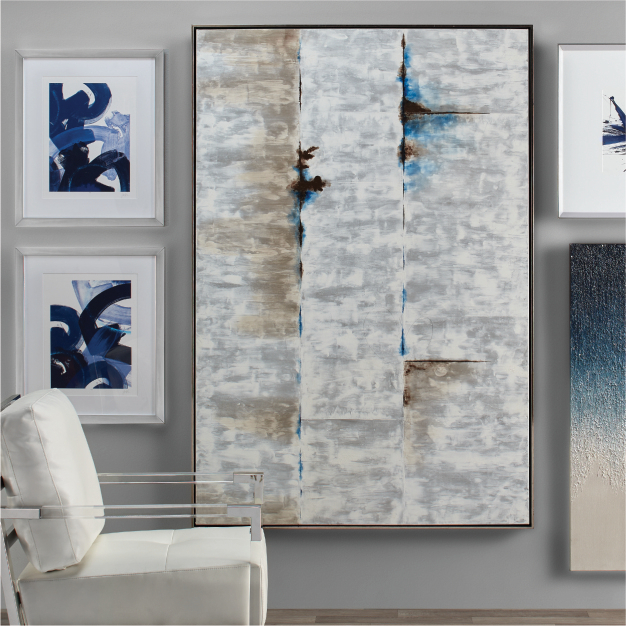 Z Gallerie offers international shipping through our partner International Checkout. 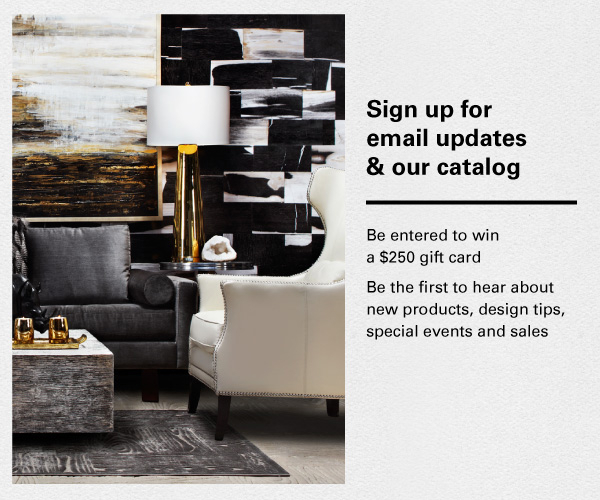 You may e-mail us at customerrelations@zgallerie.com or contact us toll free at 1-800-908-6748. 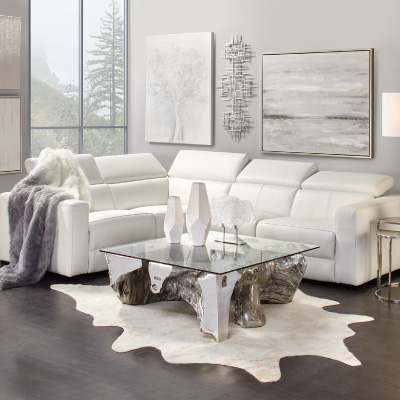 Z Gallerie has partnered with a trusted third party company, International Checkout, to fulfill orders for our International customers. 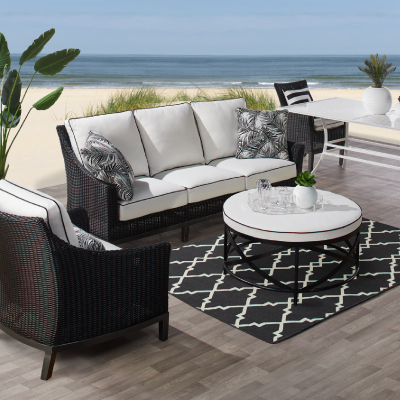 To order simply place the items you want into your Z Gallerie Shopping Cart and choose the “International Checkout” option. Your "cart’s" information will be transferred to International Checkout for processing. International Checkout will process your order, including billing, shipping and customer service. You may pay International Checkout for your Z Gallerie order using; International credit card, PayPal, or bank transfer. Once your order is completed, please contact International Checkout for all inquiries about your order at support@internationalcheckout.com. International customers may also place orders by contacting International Checkout’s "Concierge Service"; click this link - www.myamericanshopper.com/ - then follow the website instructions for creating an account, placing your order and shipping. All International orders are subject to review and acceptance by International Checkout. Electrical items such as Lamps may be shipped internationally. Plugging our electrical items in without the proper voltage regulators and adaptors may result in fire or injury. All electrical devices sold by Z Gallerie are built for use in the U.S. with a maximum of 100 to 120 volts. International shipping is available to most countries worldwide thru International Checkout. To check the status of your order or to track your package, please login onto your International Checkout account at: www.internationalcheckout.com/login.php. 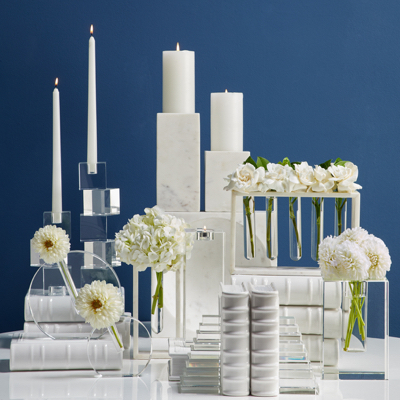 All items available from Z Gallerie may be ordered to ship internationally. Please keep in mind that these orders will ship ONLY when ALL items have become available and the order is complete. Direct Ship orders will ship separately to International Checkout directly from the vendor. You will be responsible for all shipping costs from Z Gallerie to International Checkout, the freight forwarder of your choice and then to the address of your choice, as well as all taxes, duties and other costs that may be involved with shipping your purchase within and outside of the United States unless otherwise noted. 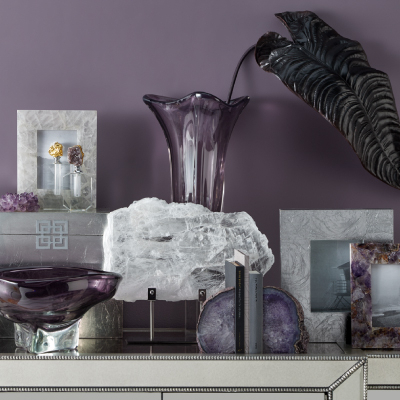 Orders for Accessories shipping outside of the United States placed with Z Gallerie by International Checkout for you will be shipped to International Checkout by Z Gallerie via Standard Shipping free of charge. Orders placed by international customers shipping to locations within the United States will have domestic shipping charges added to their order. Oversize charges will apply where required. Standard Plus shipping is not available for any order shipping to International Checkout. Regular shipping charges apply for all Furniture orders. It is the purchaser's responsibility to insure proper insurance coverage is available to cover loss or damage for orders shipped outside of the US. Z Gallerie offers no warranty service for orders shipped Internationally. All International orders are final, no returns or exchanges will be accepted. All vendor warranties are considered null and void without exception. You may also prefer to have Z Gallerie ship to a freight forwarder of your choosing. Z Gallerie is not affiliated with any freight forwarder and offers no guarantee of service. Z Gallerie will gladly deliver your order to your pre-selected freight forwarder – hired or contracted by you – located within the contiguous United States. The delivery fee charged by Z Gallerie only covers the cost to transport your order from our facilities or our affiliates to your freight forwarder. Our delivery fee does not cover any costs associated to transport your order to its final foreign destination (i.e., crating costs, port charges, consular fees, documentation fees, insurance costs, import fees, brokerage fees, etc.) – these are your responsibility. Z Gallerie will not be listed on the Bill of Lading, or on any export documentation or serve as the Exporter of Record, Beneficiary, Notify Party and/or the U.S. Principal Party in Interest. Costs charged by customer’s selected freight forwarder in order to prepare shipment for the final foreign destination (i.e., crating costs, port charges, consular fees, documentation fees, insurance costs, import/export fees, brokerage fees, etc). Determining shipment’s weights/dimensions and cube, as well as creating commercial documents. Inspecting product to determine HTS classification, commodity descriptions and product country of origin. 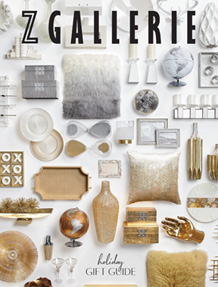 Note: Z Gallerie cannot provide photos or digital images of products. Warranties and service for products shipped outside of the United States are null and void. Damages, defects or loss of goods must be reported at the time items are received at customer’s selected freight forwarder as customer is solely responsible for any loss of goods, damage or defects after the items have been received and processed at the freight forwarder’s location. Electrical items without the proper voltage regulators and adapters may result in possible damage to the product, fire or injury. Agreeing to not transfer, re-export, sell or supply Z Gallerie goods to prohibited nations as defined by the United States Government. This includes, but is not limited to, Cuba, Iran, North Korea, Sudan and Syria. Using commercially reasonable efforts to ensure third parties adhere to the trade restrictions defined by the United States. Note: If any violations of Export/Import Laws occur, Z Gallerie may request indemnification from the customer if Z Gallerie is held liable for such violations. If items are temporarily out-of-stock, we will contact you as soon as possible by phone or email. You will have the choice to keep the order as placed, adjust it to exclude the backordered item or cancel the order. The total shipping and handling charges will be appropriately adjusted and charged as the merchandise is shipped. Please note total shipping and handling charges will not increase for split orders of accessory items. Combining in stock and out of stock items in your order will cause a delay in the shipping of your order until all items have arrived. Special orders, Customer orders and direct ship purchases are not in stock and will ship in approximately four to six weeks from the time of order. Combining Special Order items with merchandise that is in stock on orders will cause a delay in the shipping of the order until all of the items have arrived and are available for shipping. Free shipping applies to select merchandise. 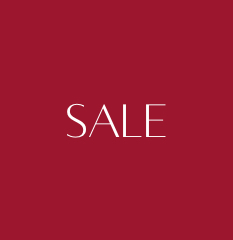 This offer is valid for orders placed online at Z Gallerie.com or by phone at 800.908.6748. This offer applies to standard shipping and handling within the U. S., excluding Hawaii, Alaska, Puerto Rico, and International Shipping. Does not include Standard Plus, oversized, or other special delivery charges. Not valid on previous purchases.